I was reminded recently that there hasn’t been an update from Mercy Tech Mission for a while – since last June, to be exact – and I can only hide behind the excuse that it’s been an extremely busy summer for me since returning home from Africa. 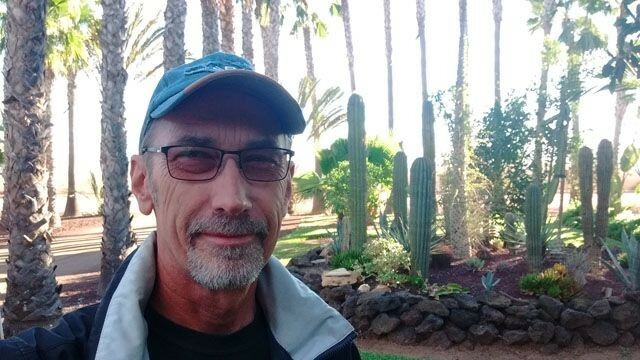 As some of you may know, when I’m not travelling with Mercy Tech Mission, I am busy running a small renovation business here in the Okanagan Valley, and this year has been busier than most. But the fall season is well upon us and there are a number of upcoming trips that I need to tell you about. Very shortly (November 10th – 21st) I’ll be returning to the Baja for 10 days of automotive instruction at the One Life One Chance mission base in San Quintin. 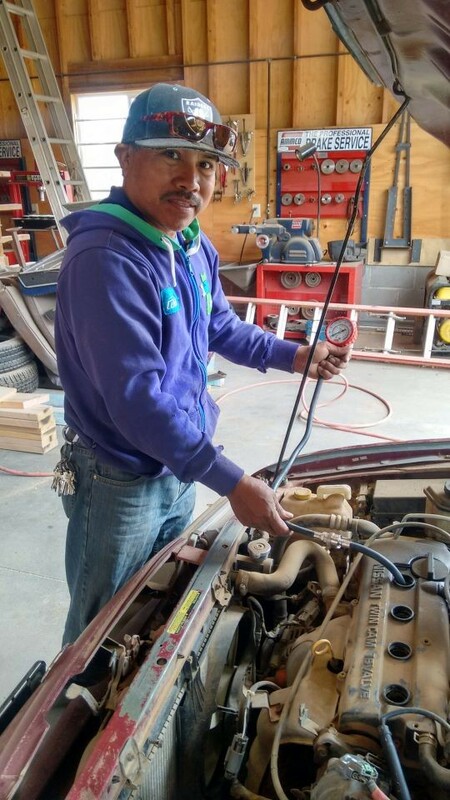 Our main student there, Isaias Vasques, has been busy maintaining the fleet of mission vehicles and it’s time once again to take his training to another level. 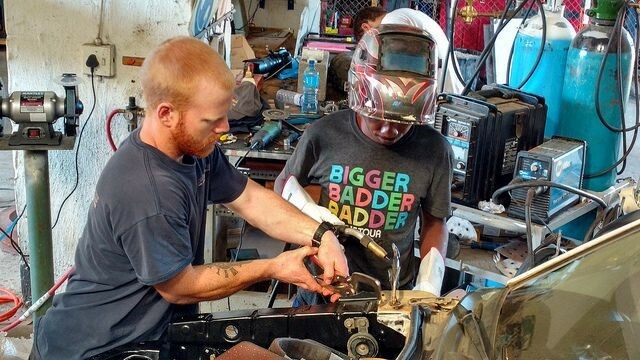 Joining me will be long-term volunteer instructor Todd Green, who has been on a number of trips for Mercy Tech, both the Baja and Africa, and sometimes in the role of Team Leader. I really appreciate guys like Todd who don’t just do one stint of volunteer work and cross it off their bucket list, but who return again and again at great expense to themselves. They have learned firsthand the reality that their lives can truly make a difference in this world. I applaud them and count it a privilege to work alongside them. Coming up quickly is our next trip to Eswatini (formerly Swaziland, Africa). This will take place from the beginning of February through mid-March, 2019, a total of six weeks on the ground at the Heart for Africa mission base. Joining me for that trip will be Don Bryce (Summerland, BC), Ross MacPherson (Carleton Place, ON), Justin Taylor (Grand Valley, ON), and Anthony Ellendt (Vancouver, BC). All of these men have been on previous MTM trips and we welcome them back as they go to teach a variety of skills in the areas of mechanics (both automotive and heavy duty), building electrical, and welding/fabricating. We will also be joined by MTM Board member Dave Peters and his wife Cheri as they come to see for themselves how Mercy Tech is working together with Heart for Africa towards of improving the lives of the Swazi people. Just a reminder that if you would like to help defray the travel costs for any of the volunteers mentioned above, you can make a tax deductible donation through our website Donate page, along with a note about who the gift is in honor of. Shortly after returning from Africa, my next scheduled trip will be back to the Baja at the end of March. I’ll be travelling with a large group of youth and adults from Summerland Baptist Church, led by Youth Pastor Lee Young. While I’ll continue training with Isaias, the group will be building two homes for local families. I look forward to these times of working alongside others who have caught the vision of sharing what they have with those in need. The remainder of 2019 is still being planned, and I’ll share more about that in a future update. For now I just want to say thanks to everyone who regularly supports the ongoing work of Mercy Tech. What we do is in some ways unique; instead of handing out food and clothing, we teach people skills that will lead to improved employment opportunities that will in turn lead to them taking care of their own physical needs in a dignified way. There is a time and place for disaster relief, and I applaud the groups and organizations that do that so well. But God has called me and Mercy Tech to do something different, and by His provision and strength, we are doing it the best way we know how. When you support the work of Mercy Tech Mission, please know that you are in the business of spreading hope – something we all could use. The ability to travel to diverse locations and work with a team. Professional accreditation in a trade or equivalent years of experience so that the skills you pass on are at a professional level. The ability and patience to teach others what you know. The willingness to adapt to new cultures and environments, i.e. to work humbly as a guest in the host community you’ll encounter. A desire to share with others what has been given to you, i.e. your knowledge, skills, and opportunities. Additionally, volunteers must fund the travel costs of their trip abroad, either through personal finances or through fundraising. Donations made towards legitimate trip costs are eligible for a Canadian tax deductible receipt. If you or someone you know would be interested in finding out more about becoming a Mercy Tech Mission volunteer, please contact us via our Volunteer Page. Once again, thank you for helping us change lives, one skill at a time.